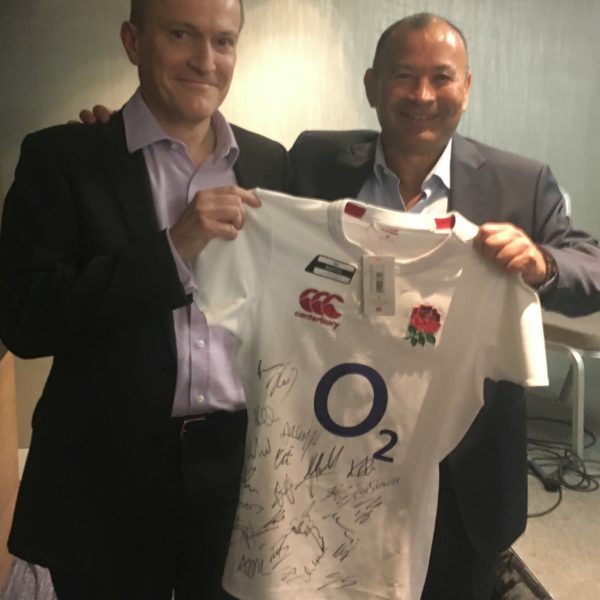 Last night I listened to an interview on the subject of leadership with Eddie Jones, England rugby coach, hosted by Content Group. Eddie explained how he commissioned research into Japanese values when he began working there as the national rugby coach. The top three were hard work, loyalty and trust. In the UK, politeness and hard work are at or near the top of the list. English players don’t like being told off in front of other players. Eddie then adapts his coaching style to fit those values. My business card won the prize draw for the signed rugby shirt.